Every successful organization knows that his or her achievement depends on a community of persons working together. 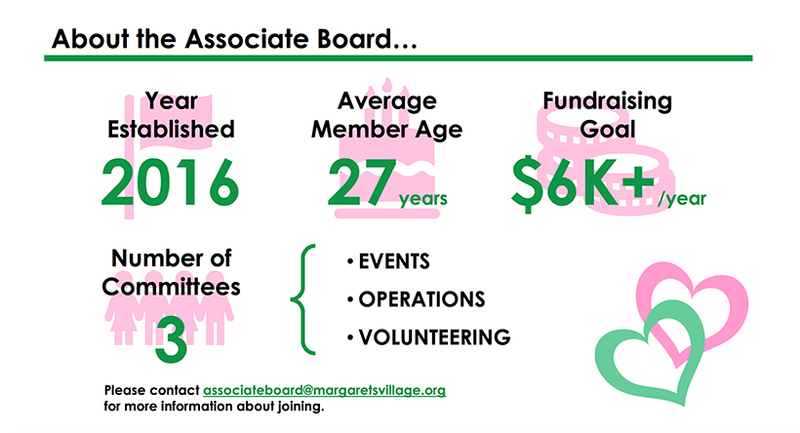 2018 “Barbecue 101 and Craft Beer” tasting event at BBQ Supply Co.
To learn more about joining the Margaret’s Village Associate Board, please email associateboard@margaretsvillage.org. Our Holiday Drive 2018 haul. We provided new clothes and toys for every child in the shelters. Making a difference while having fun! Take a look at some of our past events and volunteer work! December, 2018 – We raised $3,500 from our Holiday Toy and Clothing Drive. Thanks to Midwestern College of Medicine for their sponsorship. With the money raised, we bought new coats/clothing/winter accessories for each of the kids at the Believe Shelter and each of the mothers and kids at the Maria Shelter, as well as a new game/toy for each of the kids at both shelters. August, 2018 – Thanks to Lagunitas Brewery, who generously sponsored a happy hour at THE Taproom, with a birds-eye view of the brewery works. Thanks also to the bands Low Swans and LATE for performing and for all who made it out! March, 2018 – March Madness bracket event raised over $800 dollars. 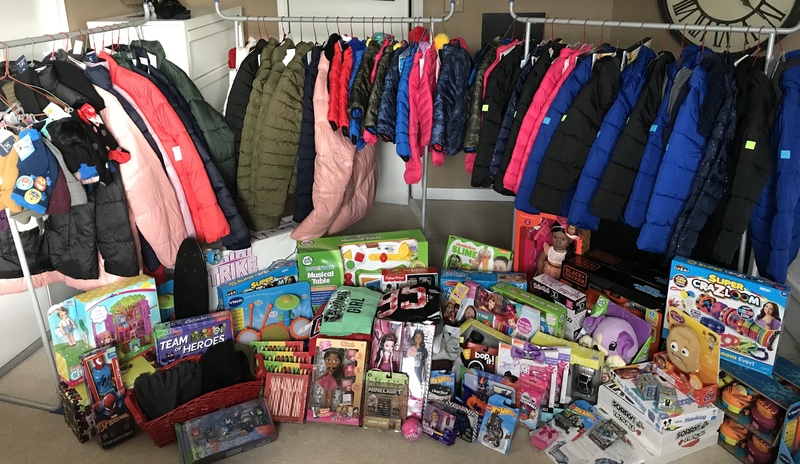 December, 2017 – Christmas Clothing and Toy Drive supplied the shelters with over $3,500 in new coats, winter clothing, toys, and financial donations! August 24, 2017 – Family and friends of the Associate Board enjoyed a White Sox vs. Minnesota Twins baseball game and pre-game tailgate with the ticket proceeds benefitting Margaret’s Village. Thanks to our sponsors: Hopewell Brewery, Baderbrau, Motor Row, and Vice Brewery District. April 22, 2017 – The Associate Board hosted a cookout with the residents to celebrate Earth Day. Together, we planted a variety of flowers in Maria’s Garden. February 16, 2017 – The Associate Board attended a nail biter basketball game between Chicago Bulls and Boston Celtics that the Bulls won. Ticket sales benefited Margaret’s Village. February 24, 2017 – Thanks to the second graders of Sacred Heart School of Chicago who held a bagel sale with proceeds benefiting Margaret’s Village.